The black background symbolizes the Ultimate Nature of Phenomena (bon nyid) which cannot be defined in any way whatsoever. The Wisdom Khyung (Garuda) at the top symbolizes the Body of Perfect Enjoyment (longs pyod rd=ogs ps’ I sku). 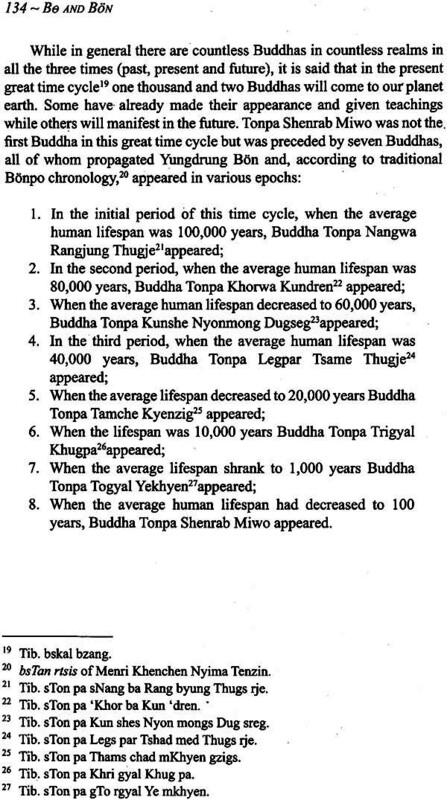 The body of Manifold Multipurpose Emanation (cir yang sprul pa’i sku) in the rainbow circle is Tonpa Shenrab Miwoche, the Buddha of Yungdrung Bon who manifested on this earth in 16-017 B.C. 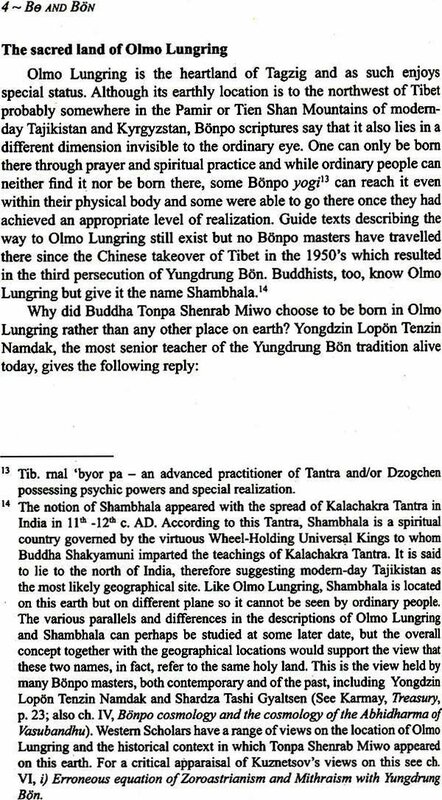 according to traditional Bonpo sources, and taught beings countless ways which lead out of samsara. The silhouette of the bird of five colours swooping down symbolizes the five lights which manifest out of the Primordial Nature and turn into the five elements which further develop into the vision of phenomenal universe. The tongues of flame just above the bird’s silhouette symbolized the spiritual knowledge and transmission of Be Murgel brought to earth from the realm of the Tengeri Sky-gods by the White- headed Eagle. 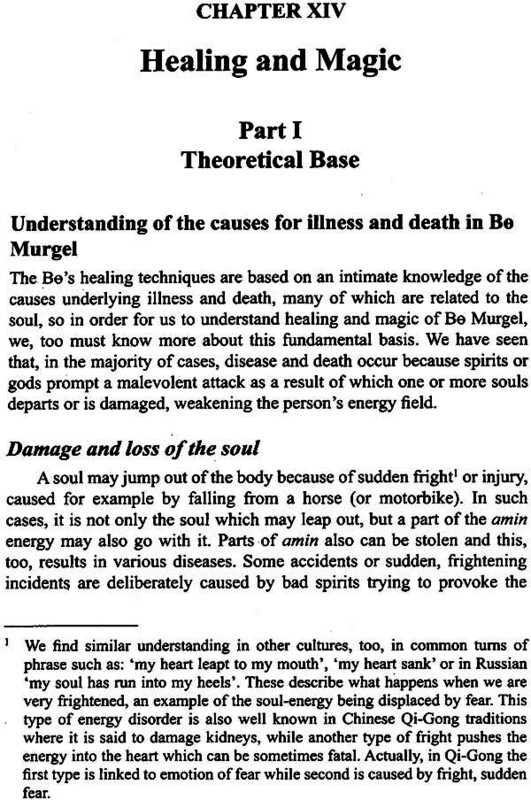 And underline the vital importance of the fire element in the offering rituals of Be Murgel and Domai Bon. Below that is the Middle World of the phenomenal universe with Lake Baikal in the foreground. The lake is the symbol of the archaic spiritual and cultural traditions of the Eurasian continent and is flanked by the figure of a Buryatian Bo on the left and a Tibetan Domai Bonpo on the right-the priests of the Prehistoric Bon of Eurasia who mediate between the beings of the Three Worlds (sag sum) of samsara in order to bring harmony, happiness and prosperity to the people of the earth. The word ‘bon’ is an ancient Tibetan word with a wide semantic field. 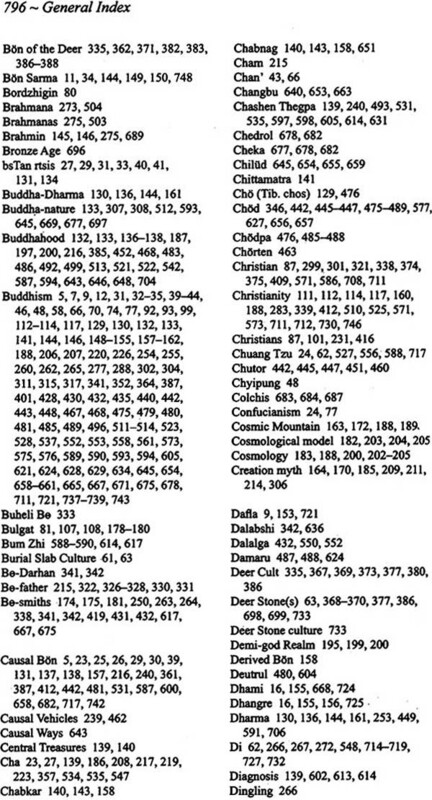 In the language of Zhang Zhung, it is equivalent to the Zhang Zhung word ‘gyer’, and these two are quite often used interchangeably in Bon texts, including both classical teachings texts as well as ritual texts. The word ‘bon’ can be used as a verb and also as a noun. As a verb it means ‘to express’, ‘to preach’ while as a noun, it has several meanings; it can be used to denote phenomena or existence in general, and its meaning fluctuates according to different contexts. 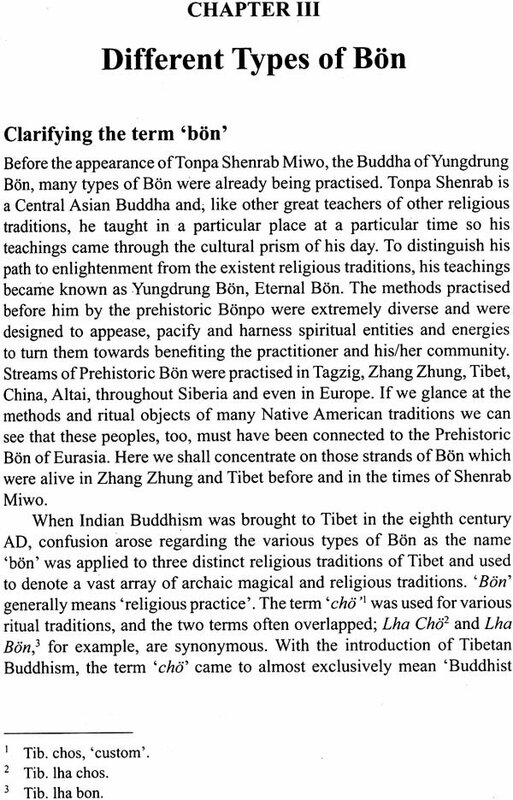 However, the most popular meaning of ‘bon’ is ‘teaching’ or ‘doctrine’, and in this way it is used as the name for a religion, the ancient religion of Tibet. Due to the complexity of its semantic range, nowadays scholars have come up with different interpretations for this word. 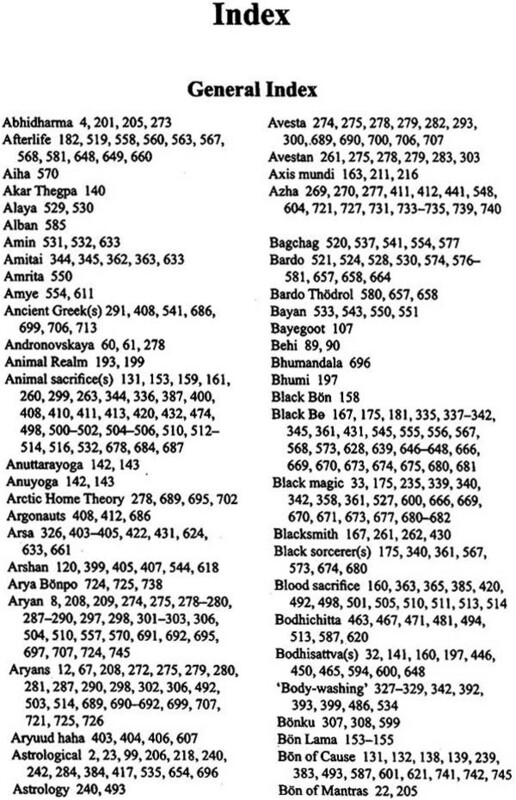 However, if we go according to classical Bon teachings and historical accounts, we may come to classify the word ‘bon’ in two main semantic pools. Broadly speaking, the first is the teaching or doctrine while the second is the meaning or content of the teaching. That is why this word is nowadayas mostly understood in the sense of religion or practice. Because of this, in ancient times ‘bon’ was used as a general term for religion, not to refer to one specific belief system. 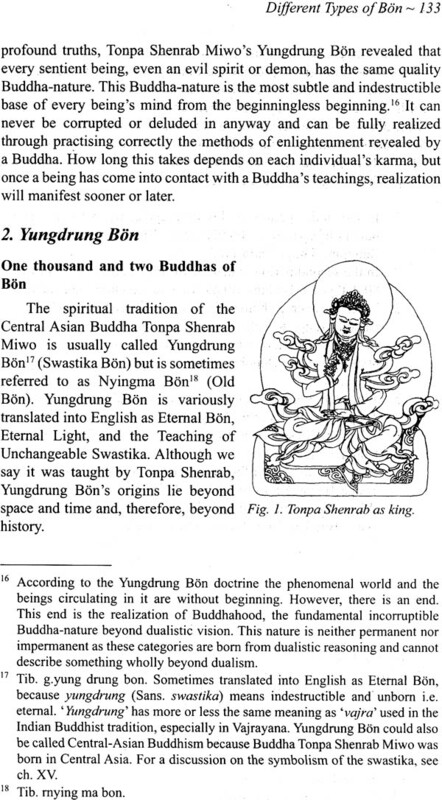 In fact, we can say there are two main types of Bon-one is a primitive religion, the other is Yugdrung Bon. Primitive Bon refers to a belief to a belief system centring on the worship of different mighty, supernatural beings and certain elements. Since time immemorial, humns have possessed knowledge of how to deal with the elements and such powerful spirits in order to meet the needs of their spiritual and temporal life. 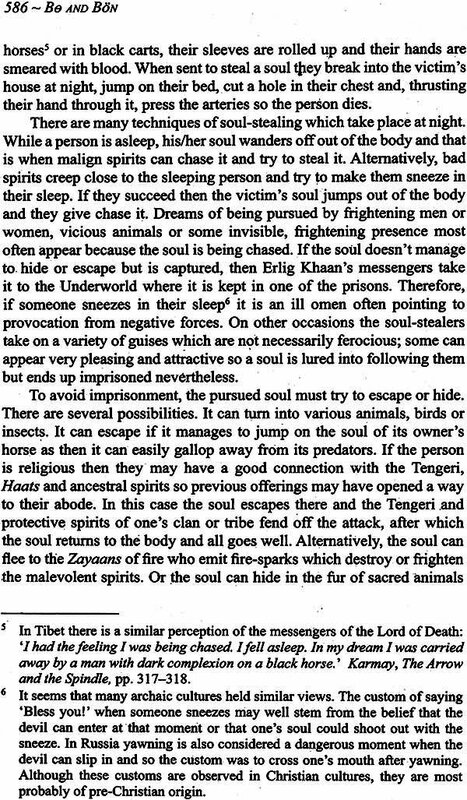 In the ancient kingdoms of Zhang Zhung and Tibet, there was already a strong tradition of this system of spiritual practice which eventually became the cultural basis for the spread of the Yungdrung Bon tradition which was preached by Buddha Tonpa Shenrab. Yungdrung Bon is a religious tradition which contains methods methods and wisdom to bring benefit to individuals on all levels of their life, according to each person’s constituent capacity. All the teachings of Yungdrung Bon are classified into nine successive ways, known as Bon theg pa rim dgu, the Nine Successive Ways of Bon, to suite the nine different mental dispositions of its followers. These Ways contain wisdom and practical methods spanning situations relating to one’s day to day life right up to the pure and perfect state of Buddha, known in Tibetan yang dag rdzogs p’ i sangs rgyas. Eventually, Yungdrung Bon became the predominant religion of the kingdom of Zhang Zhung and many parts of Central Asia, and also remained the predominant religion of Great Tibet unit the eighth century. This ancient tradition is still alive in Tibet, Nepal, India, China and elsewhere, with its long, unbroken lineage and history. 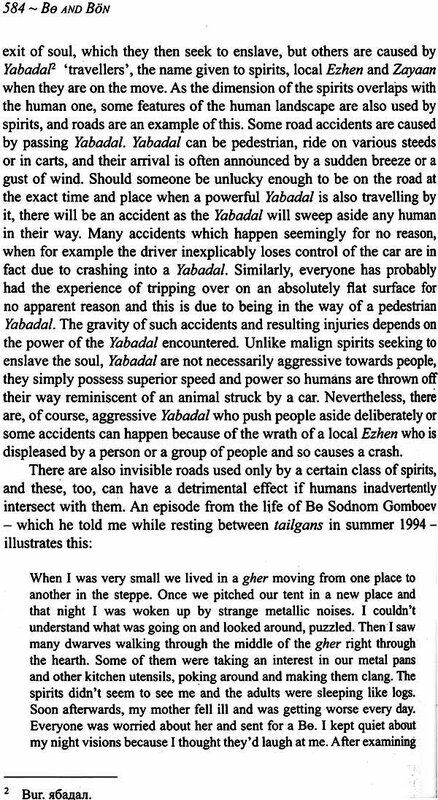 Running parallel to this, the Primitive Bon system of spiritual practice which existed before the advent of Yunngdrung Bon is also alive in different corners and fringes of Tibet, Nepal, India, Bhutan, Mongolia, Southern Siberia and so on, where it takes different shapes and forms, benefitting many through its own spiritual methods and system. 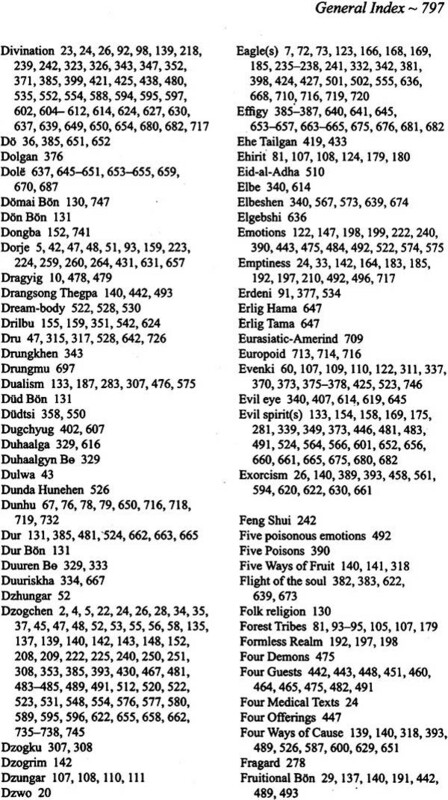 Some of these traditions apparently combined with the methods of Yungdrung Bon’s Causal Ways forming, various hybrids and blurring the lines between Primitive Bon and Yungdrung Bon. 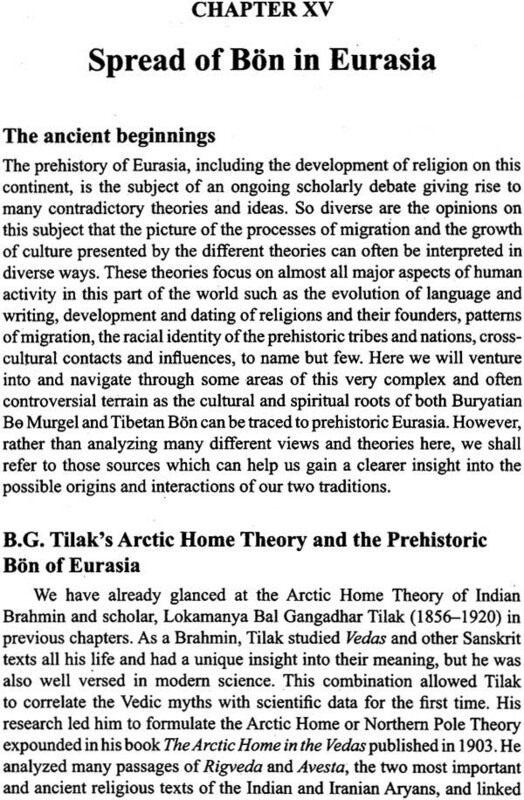 Due to changes in Tibet’s political climate in the early Middle Ages, from the mid-eighth century up until now, a number of Tibetan scholar-and later Western scholars whose research relies on these earlier Tibetan sources-have maintained a different point of view and interpretation regarding the Bon religion and its history. 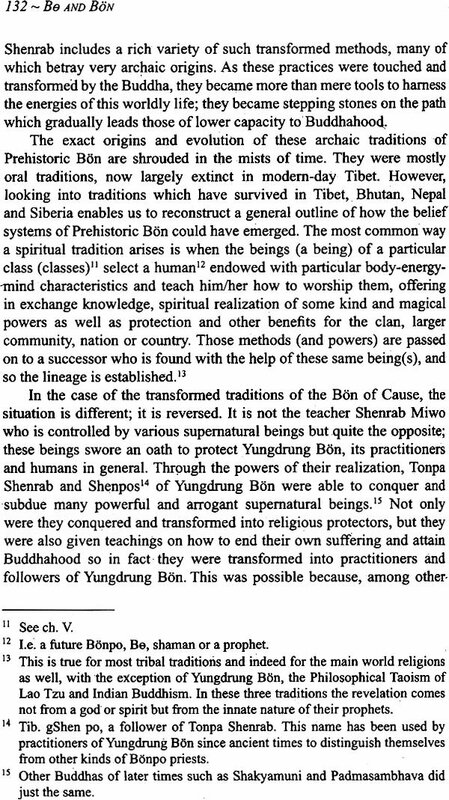 Many defined Bon as a shamanistic tradition, or a strand of shamanism, while others think of Yungdrung Bon as an organized Bon tradition which comingled with Indian Buddhism before or after the eight century. The traditional Yungdrung Bon historical accounts, however, make it clear that Yungdrung Bon has its own independent spiritual and historical source along with its own canonical texts, including treaties on Sutra, Tantra and Dzogchen which have been preserved and studied up until now. In particular, Dzogchen is considered to be the highest and most essential practice of Yungdrung Bon with an ancient, uninterrupted spiritual lineage of transmission which has remained intact to this day. At the same time, Yungdrung Bon also contains a great wealth of practices and rituals to matters such as healing and as healing and astrology which address the temporal welfare of beings, and these, too, have been used since ancient times up until today. In fact, one could find that most Tibetan spiritual ritual systems-whether Buddhist or Bonpo-are based on traditions pertaining to Yungdrung Bon. 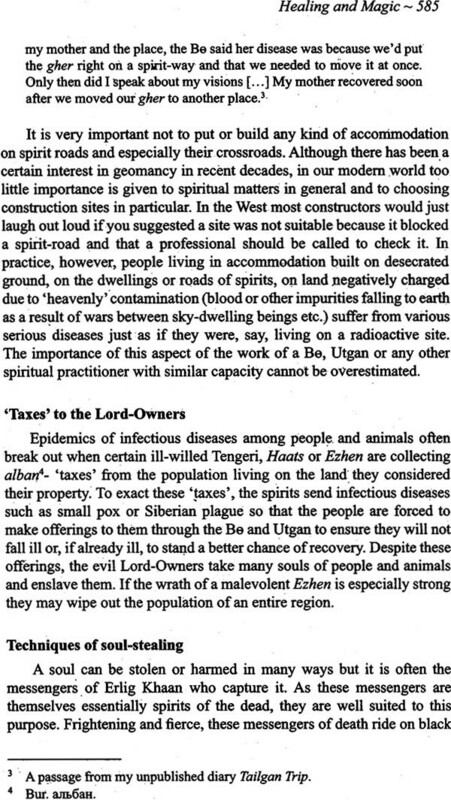 Since these aspects are very much related to obtaining tangible benefits in this life, they have become an integral part of the Tibetan spiritual and social way of life, and this system has been upheld by Tibetan Bonpos-and later Buddhists-of all levels of society; some of these methods mingled with the ancient Primitive Bon. This may be the core reason why scholars compare Yungdrung Bon with shamanism; nevertheless, I would suggest that this alone is not a strong or valid reason to equate the two belief systems, all the more so as the exact meaning of ‘shamanism’ still remains unclear to many, as does the exact meaning of ‘Bon’ In order to define one thing as another, one must be clear about the precise meaning of both parties. 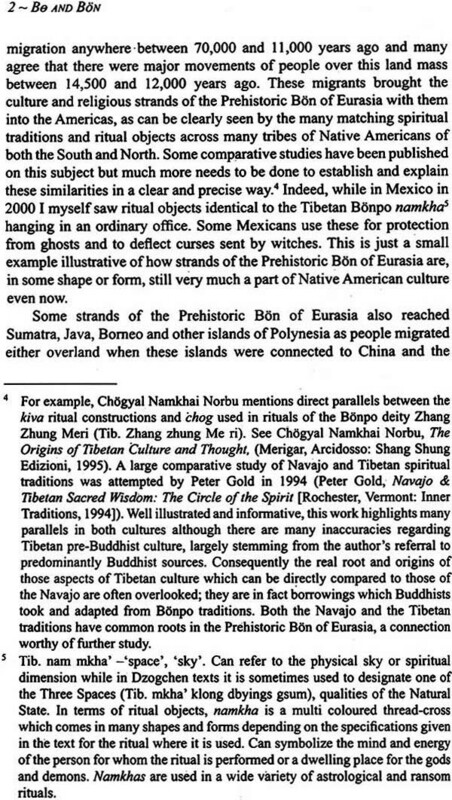 This book, Bo and Bon: Ancient Shamanic Traditions of Siberia and Tibet in their Relation to the Teachings of a Central Asian Buddha by Dmitry Ermakov, sets out to clarify the differences and relationships between Bon and the shamanism of Tibet, Mongolia and Siberia by looking through quite a wide and complex range of subjects. 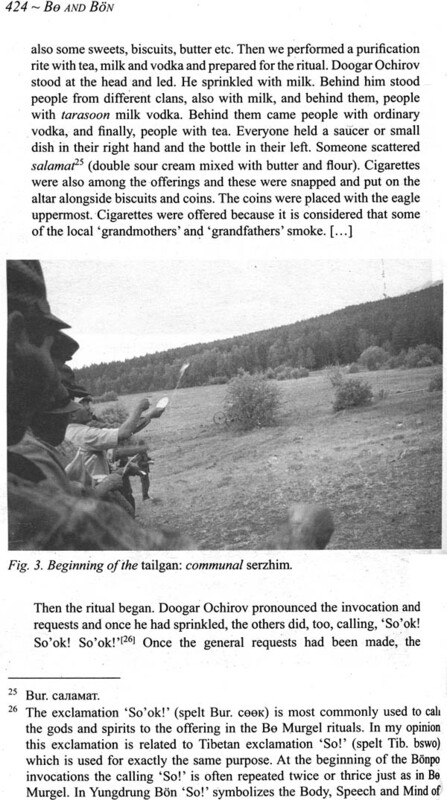 Mr. Ermakov has studied and practised Bo Murgel since 1990 and has travelled with shamans, visiting their sacred places and participating in many of their rituals. He first met the Bon tradition and its teachers in 1995, and has practised Yungdrung Bon for thirteen years. Thank to his intimate knowledge of both traditions, his book could be of great benefit, helping the reader to gain a clear understanding of the similarities, differences and relationships between Yungdrung Bon and Shamanic traditions. By studying Bo and Bon, even though many parallels may be apparent, one will be able to clearly distinguish the fundamental differences in the origin, practices and goals of these ancient religions. Therefore this book can be equally useful for practitioners and scholars of Bon, Tibetan Buddhism and shamanism. I would like to congratulate Dmitry on the completion of this book which he has been working on for many years, and I hope it will be of great benefit to many. 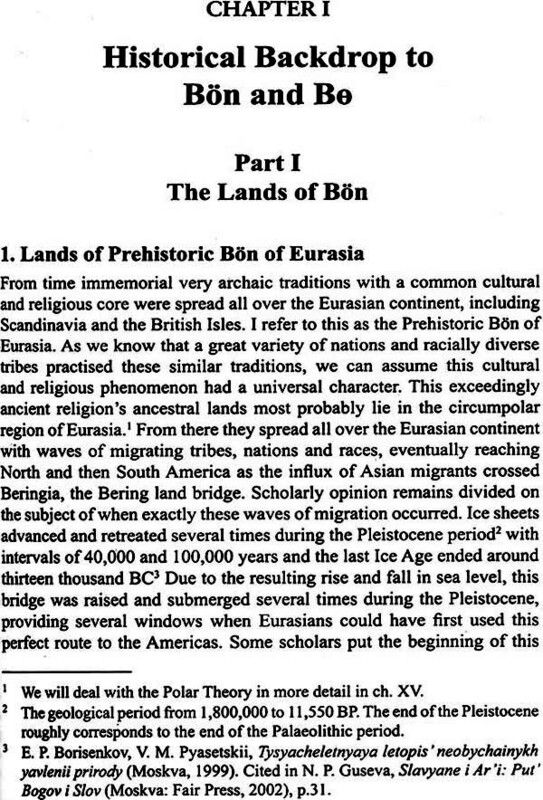 Prehistoric Bon of Eurasia, a term I have coined to cover a much larger phenomenon, namely the many spiritualistic streams practiced by the various nations and tribes of different racial types who roamed Eurasia in remote prehistory. 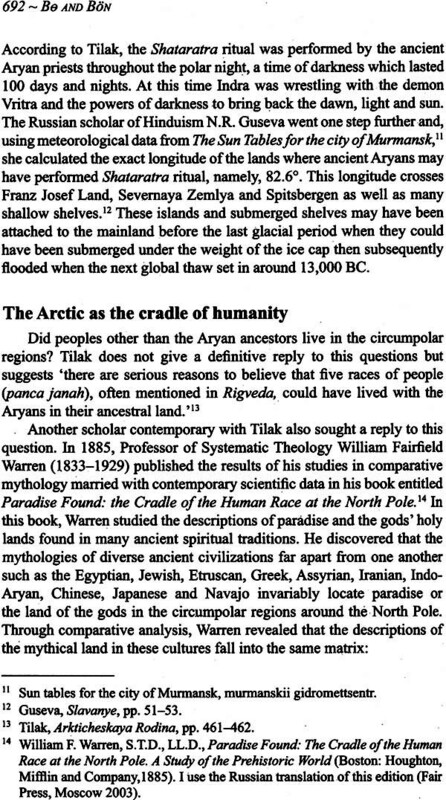 Part of the scope of this book is to establish a loose commonality between these ancient traditions, thereby justifying the epithet ‘Eurasia’. 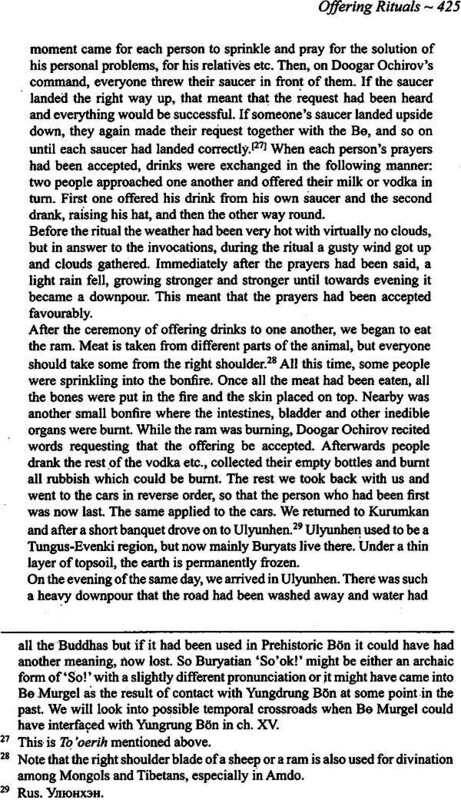 As for bringing all these traditions under the umbrella of Bon, the reasons for this will become apparent as the reader progresses through this book; here, suffice to say that in Tibetan the term bon is not limited to a restrictive meaning linked to only one religion, and several streams of Bon may have come to the Tibet-Qinghai Plateau from other parts of Eurasia. 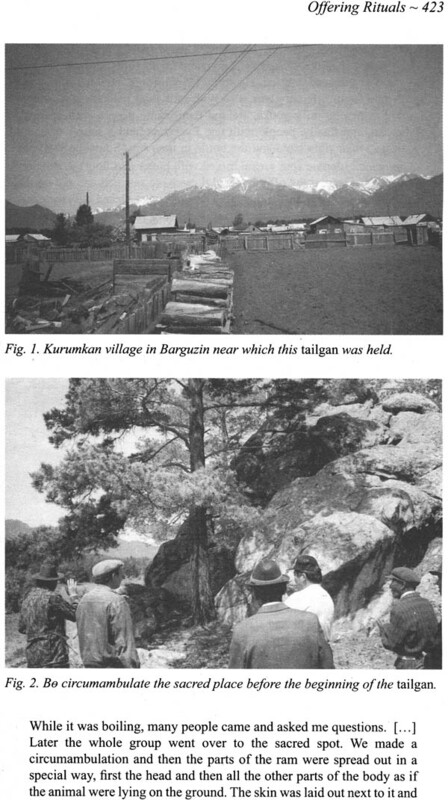 Moreover, the Be Murgel belief system of Mongolia and Buryatia-thousands of miles from Tibet-has many features in common with Tibetan Bon, not least of which is its name, Bo (pronounced like ‘boar’ with a double ‘oar’ sound). 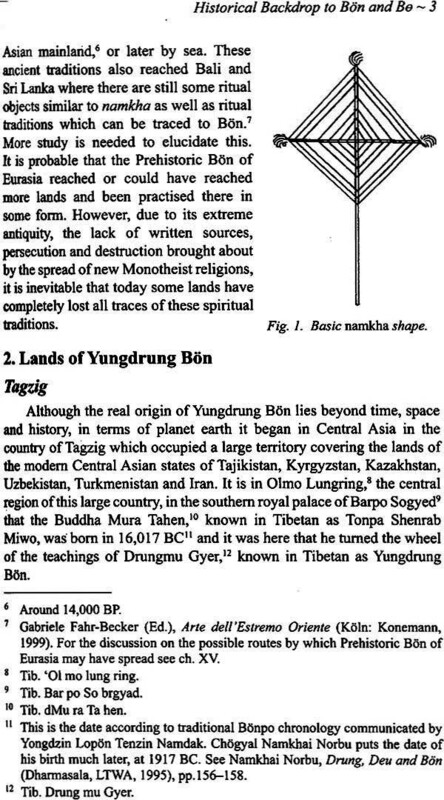 According to traditional sources, Yungdrung Bon is the teaching of the Central Asian Buddha, Tonpa Shenrab Miwoche, who lived and preached in the heart of Tagzig, an ancient country located somewhere in the Pamir Mountains, Possibly in modern-day Tajikistan and/or the surrounding Central Asian republics. The teachings of this Buddha were brought into and flourished in the land of Zhang Zhung, an empire or tribal confederation centred in western Tibet around Tise (Mount Kailash). It is from this heartland that Yungdrung Bon reached Tibet, initially a small vassal- state of Zhang Zhung eventually overthrew its overlord in the sixth-eighth centuries AD. Yungdrung Bon is divided into two major parts, Causal and Fruitional. In a nutshell, Causal Bon is comprised of a vast body of rituals designed to improve worldly worldly conditions and lessen hardships in this life and gradually guide the practitioner towards the higher teachings of Fruitional Bon which ultimately lead to Buddhahood. Often referred to as New Bon, this is an eclectic tradition combining elements of Indian Buddhism and Yungdrung Bon which appeared in the eighth century AD and is still very popular in eastern Tibet, particularly in Kham. 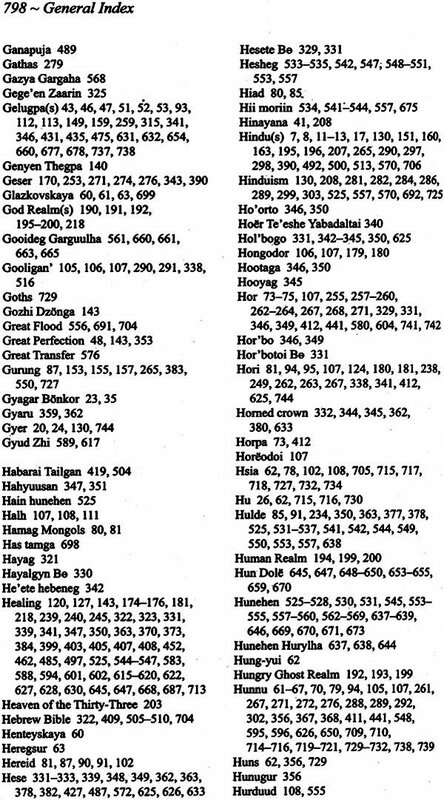 This refers to the wide range of tribal traditions practised in the borderlands surrounding Tibet and the Himalayas in which Prehistoric Bon, Yungdrung Bon and various other elements mingle in various proportions. 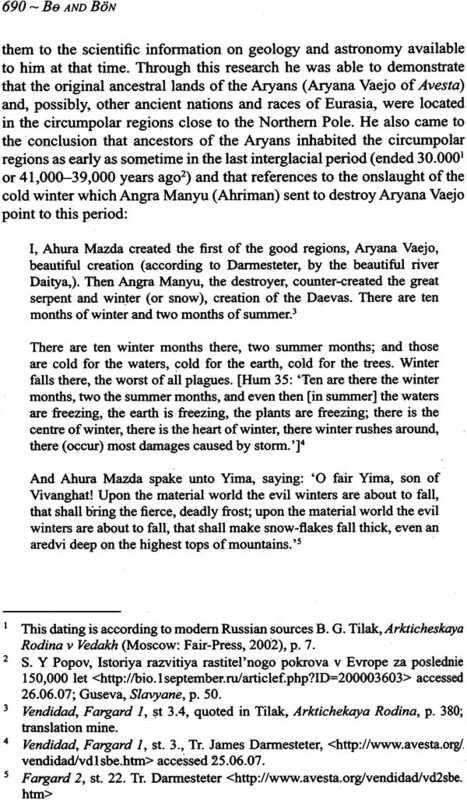 One of the main aims of this book is to dispel the misconceptions and disinformation that Yungdrung Bon is a kind of Tibetan shamanism using blood sacrifices and black magic which later took on some aspects of Indian Buddhism in a deliberate attempt to appear more ‘Buddhist’ We dismantle this myth from many sides: firstly, by looking into the history and doctrines of Yungdrung Bon itself, which are the teachings of Tonpa Shenrab Miwo, the Central Asian Buddha who-according to traditional Bonpo reckoning-predates the Indian Buddha Shakyamuni by many thousands of years; secondly, by detailing the differences and similarities between the multiple aspects of various types of Tibetan similarities between the multiple aspects of various types of Tibetan Bon: thirdly, by methodically comparing Yungdrung Bon’s base, view, path, myths, beliefs, rituals and deities with those of Tibetan Buddhism, prehistoric Bon in general and Buryatian Bo Murgel in particular. It is my hope that the materials presented here will aid the reader in gaining a better understanding of the true relationship between Yungdrung Bon and Buddhism and thereby contribute to overcoming sectarianism, a serious obstacle for practice and study both among Tibetans and in the West. 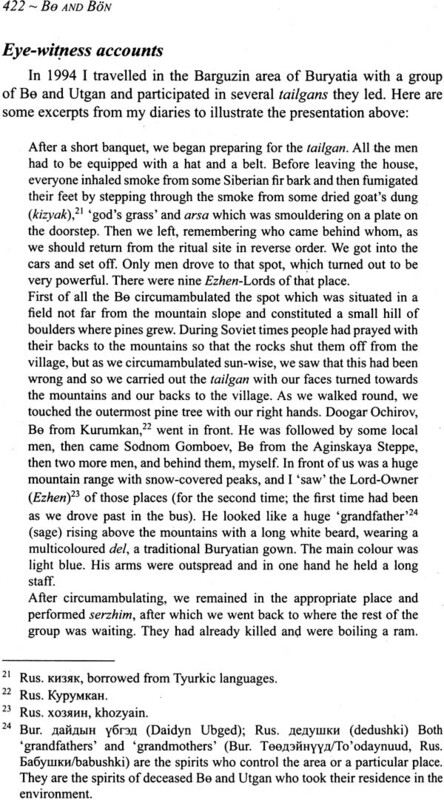 The other tradition we shall examine in detail is Bon Murgel of Buryatia. We shall demonstrate that Bo Murgel, sometimes called Tengrism by Russian scholars, is in reality a syncretic tradition embracing several kinds of Prehistoric Bon akin to Tibetan Lha Bon and Dud Bon which possibly includes fragments of Yungdrung Bon along with methods from other Siberian spiritual and cultural streams. Because of this rich diversity and the many layers contained within it, and because it is a living tradition related to Tibetan Bon which can still be studied from ‘within’, Buryatian Be Murgel can play a unique and important role in shedding light on the origins and culture of Bon. Through the comparative study of the views, myths and practical methods of Be Murgel and what we know about the Prehistoric Bon of Tibet, poorly understood aspects of both belief systems can be further illuminated.